While most woman sit back and dream of the day that they will have their very own home, most men sit back and dream of the day that they will have their very own room in the home, to transform into a man cave. This might not seem like such a big deal however, a man cave is much more than just another room. You see, it is a reflection of the man who it belongs to. Turning a room into a manly pad takes some doing and there are a few things that will need to be considered before hand. The first area of consideration will be the location of the man cave itself. There are typically two or three rooms in any home that are, by nature, associated with the term ‘man cave’ and they are the basement, the garage and the den. When a man begins to think about where this room transformation is going to take place, one of these three rooms is usually the lucky winner. There are advantages, as well as disadvantages, to each of these rooms when it comes to creating a man cave. For the basement, the advantage is fairly obvious and that is its size. A basement probably has the most potential, out of all three of the options, simply because of all of the space involved. Most basements are big enough so that a man wouldn’t have to choose between game room, bar area, monster media center or the all too popular super-sized pool table. He could have them all without having to tear down any walls. For the basement, however, its disadvantage is exactly the same as its advantage. Yes, it is spacious enough to fit everything that a man could want. The only problem is that filling a basement up with all of those “wants” would mean taking out a second mortgage to pay for everything needed. It would also take much longer to complete than the other options. The den can work out nicely for a mancave especially if time is a concern. That is because den’s are typically the same size as any other large bedroom in the home. Choices will have to be made, when it comes to those “wants”, and that is the den’s disadvantage. So yes, transforming a den into a man cave can be accomplished very quickly but sacrifices will have to be made. 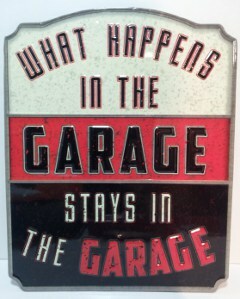 The garage, at first glance, would seem to be the perfect choice when it comes to a man cave. It isn’t so big that it will take a month to complete and it isn’t so small that you have to choose only one of your favorite forms of entertainment to fill it up. The main problem, however, with a man cave garage is the fact that it is more outside of the home than it is inside. The cold during the winter, the heat during the summer and little critters all year round can become a very big problem. No matter which room is chosen, there will always be an upside and a downside so there should always be more focus on where to put all of the cool ‘stuff’ rather than where to put the room. Decorating a man cave is pretty simple and fairly standard for most men. A standard man cave will be heavy on the media center/bar area and slightly lighter on the game room content. It is usually about decoration lots of “manly” decoration, a mini fridge at the bar, a big comfortable couch, an even bigger television and a physical gaming table are about as good as any man cave could ever get.